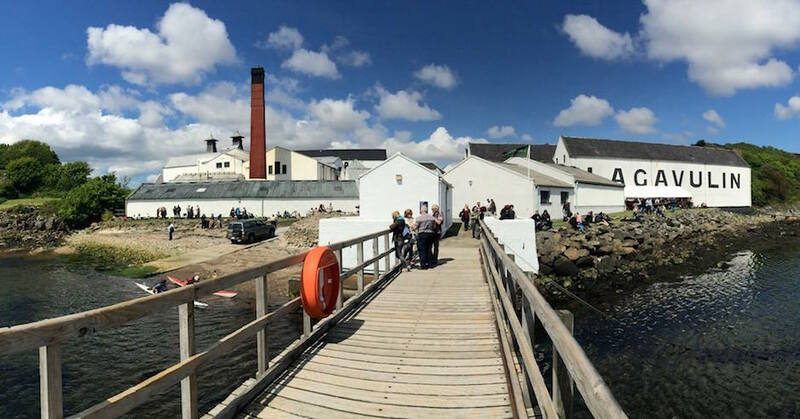 Lagavulin’s 200th birthday celebrations continue to roll along. 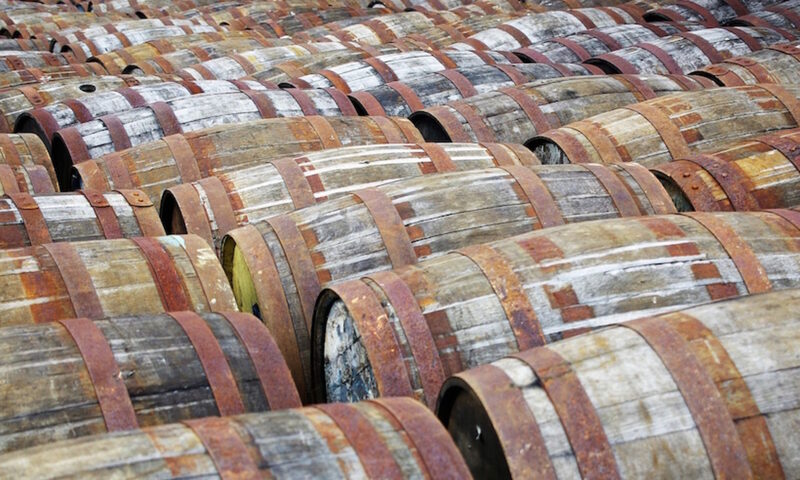 The launch of an 8-year-old expression at the beginning of the year – and a second release mentioned for later on – and events at the distillery during Feis Ile have started things off, but there’s been rumours of another release since the end of 2015. That release has now been revealed – a Lagavulin 25 Year Old. I got to try it the London chapter of the birthday celebrations – a sit down dinner for 200, with a special dram as the final toast. Nose: Leather, salty peat, seashells, salted butter and sharp sea-spray – it may have been the remains of a lobster platter sitting nearby, but there was a distinct whiff of salty seafood in the glass. Rounded Crunchie-bar sweetness and fruity notes sat underneath, with sultanas, rich fruit cake and dark chocolate. Punchy medicinal notes and bung cloth are balanced by elegant waxed jacket notes, barley sugar, fruit gums and a hint of barrel char. Palate: Elegant, rounded and old, with youthful flashes. The waxed jackets from the nose sit at the centre, surrounded by a first layer of waxy apples and floral notes. Out from there there’s lemon and orange zest, and black pepper. Warm leather, loam and soft barrel char bitterness follow, with bungcloth, soft oaky notes and coal smoke following. Finally, there’s fruit, with apples and pears (singed) and tropical hints peaking out from behind the smoke. Finish: Barrel char, wet peat and dark chocolate, with hints of pine and soft, lingering sweetness. I thought it was a great whisky, combining the elegance of older Lagavulins with the feistiness they’ve been showcasing in the 8 Year Old. I was surrounded by the remains of seafood platters and a room full of Lagavulin fans, so I suspect my opinion, but based on the evidence so far, it’s good. Islay Single Malt Scotch Whisky, Cask% ABV. £799, available soon from specialist retailers. The second whisky released in honour of Lagavulin's 200th birthday celebrations has been announced – a new Lagavulin 25 Year Old. I still have a small amount of the 25 left over from when I visited the distillery over 7 years ago. I paid about 200 pounds for the bottle (about US$400 at the time). I really REALLY wish I could get another bottle of it. Hypothetically, if I knew someone willing to ship me a bottle, how much hypothetically would it cost me? You’re looking at about £1000 to get the old one from a shop, probably less if you find one in auction. David J E Fuhr liked this on Facebook. Gal Granov liked this on Facebook. Jason B. Standing liked this on Facebook. Mat Craddock liked this on Facebook. Jarek Buss liked this on Facebook. Edward Bates liked this on Facebook. Elliot Kenneth Biddle liked this on Facebook. Mariella Romano liked this on Facebook. Previous PostPrevious Inchdairnie Distillery – Part One: Who? Next PostNext Inchdairnie Distillery – Part Two: How?